When I visited the Galapagos Islands in late January 2016, I was unaware that I was about to have a trip of a lifetime. I was hoping to see some big animals underwater, but I was unaware how extraordinary these encounters would be. 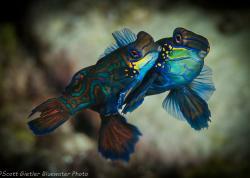 Please allow me to share them with you, along with some tips on how to capture these types of underwater photos. 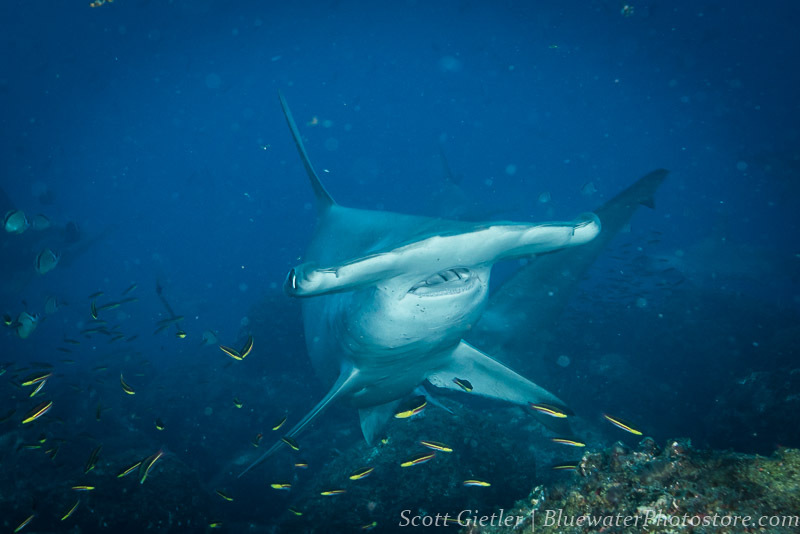 Wolf and Darwin Islands offer close, intimate encounters with hammerhead sharks. Over and over and over again. 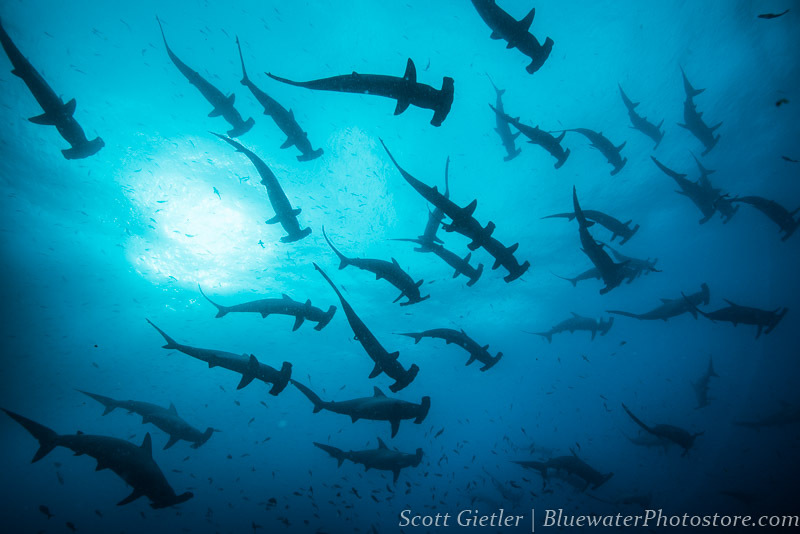 The trick is to sign up for a trip that is going to *really* focus on hammerheads - # of dives, where you are going to dive, and being with a group that will "follow the rules" for close hammerhead encounters. A lens with a little reach is essential, as is constantly doing practise shots, using a setup you are very familiar with, and using gear that can focus fast and shoot fast. Jan - June will offer clearer water for better quality photos. 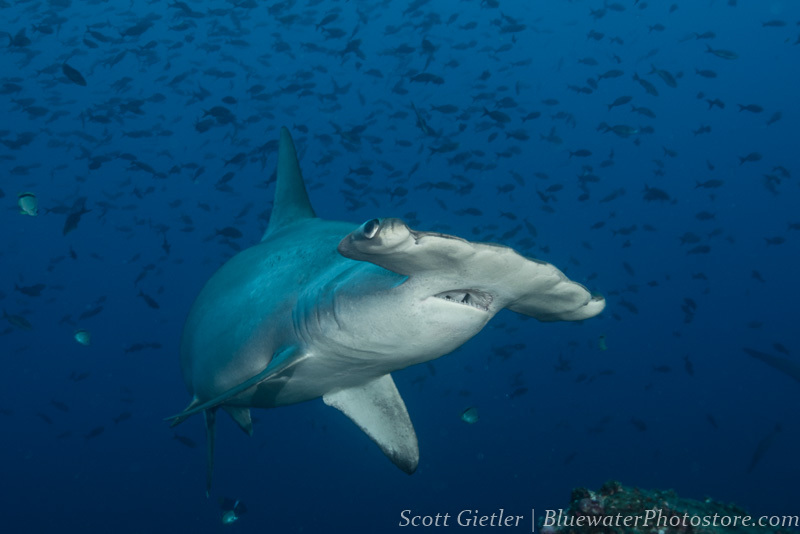 Be prepared for a shot as you enter the water, because there will often be hammerhead sharks shallow where you drop in the water, and you may have 5 or 10 seconds to get a couple of shots before they decide to leave the area. Turn on your camera & strobes and set your strobe power correctly right before dropping into the water. 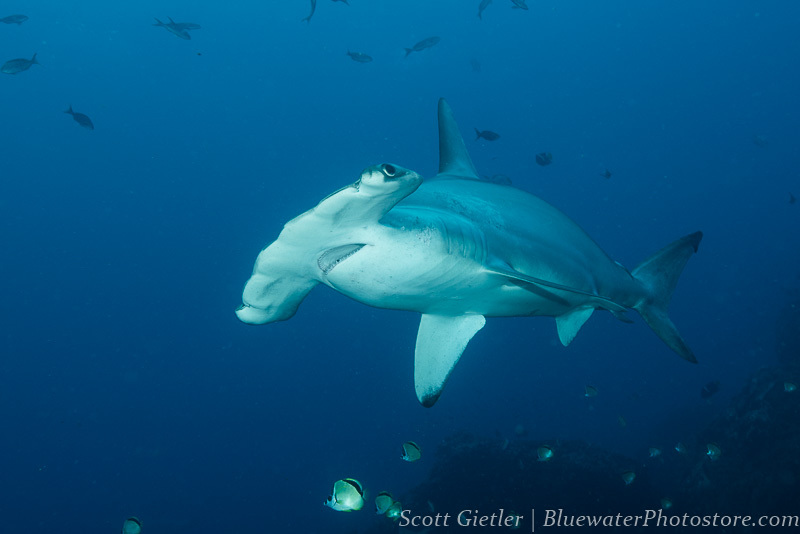 To photograph hammerheads, do not swim towards them, or swim in the water column, or away from the reef. 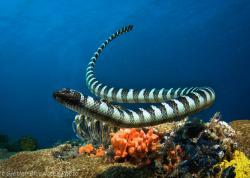 You must hide behind a rock, and hope that they will swim over the rock near you. In a sense you are "hiding" a little bit. It helps if there have not been any divers swimming around blowing bubbles around your rock in the previous 20 minutes. 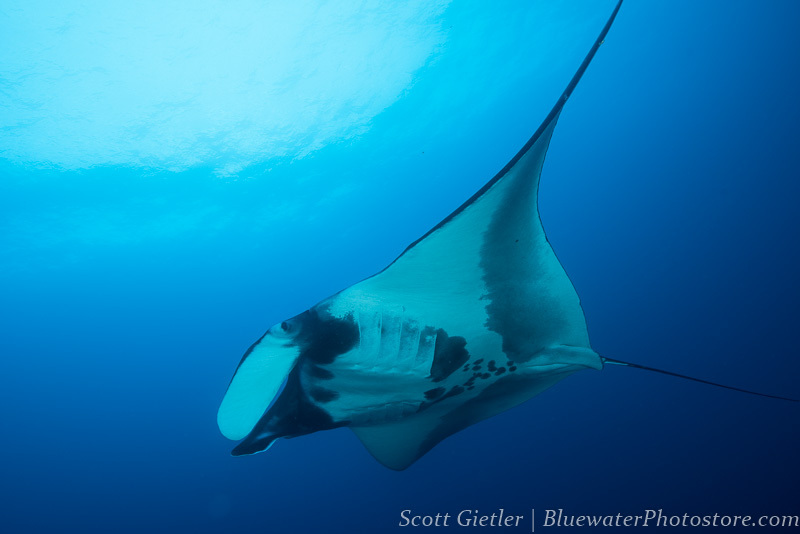 The Galapagos is full of rays - stingrays, manta rays, mobula rays, marbled rays, you name it. A good ray photo is carefully composed so the shot is taken when the wings are in the optimal position. Background exposure is also important to bring in the necessary amount of ambient light. 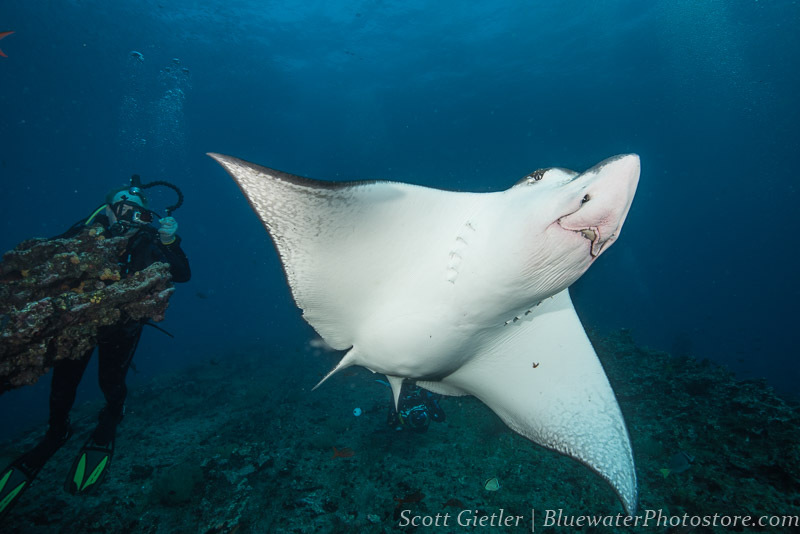 Cabo Marshall is a great area for photographing rays, but it may take several dives to get the right conditions. 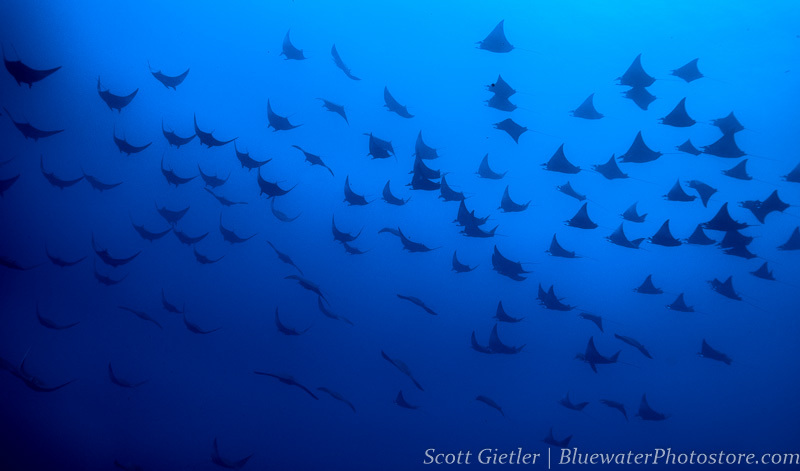 Don't be afraid to swim "off reef" into the blue a little bit, as that as where a ray or group of rays may appear right in front of your eyes. 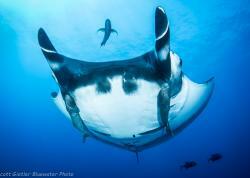 The Mola mola were the highlight of my Galapagos trip. 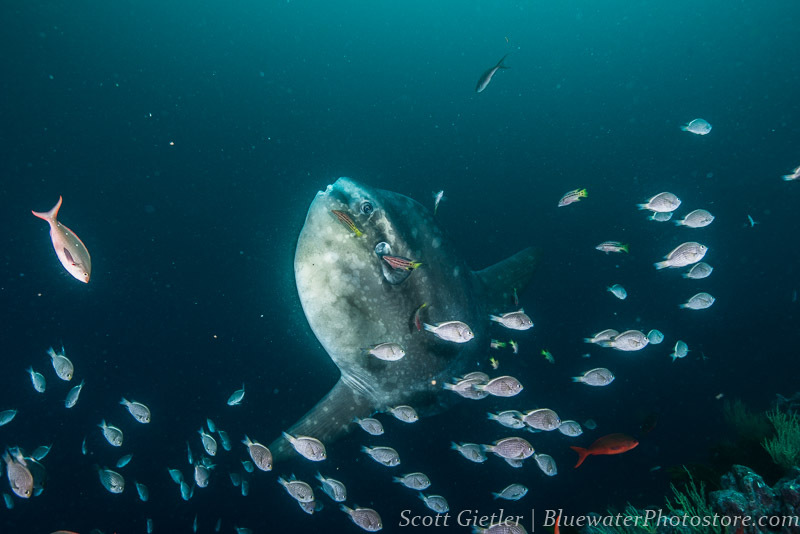 Group dynamics are key, because it only takes one diver to scare away the Mola mola. 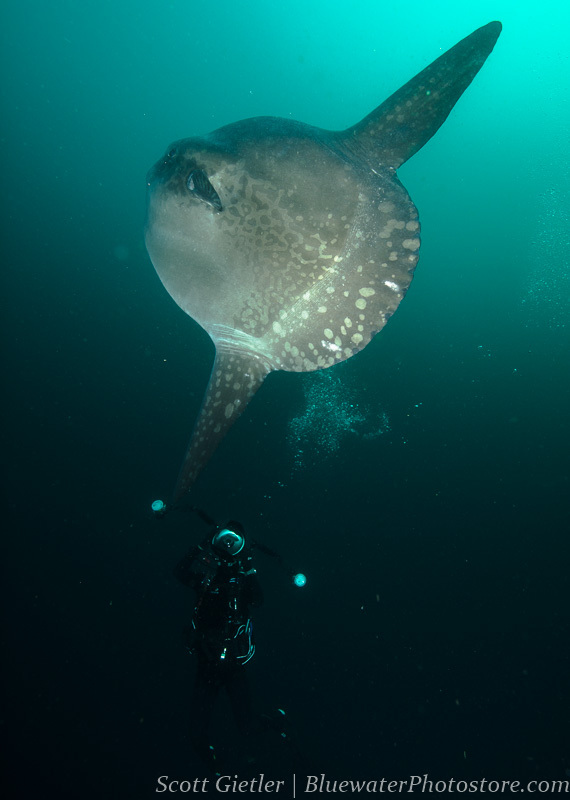 Doing a custom photo itinerary will allow you to do more dives looking for Mola mola than a regular Galapagos dive trip will permit. Punta Vicente Roca is where we saw them. 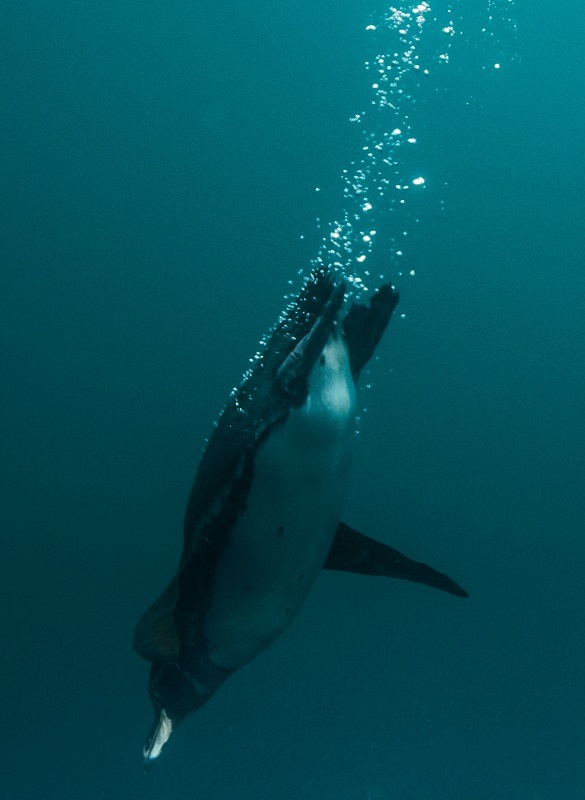 There is nothing that can compare to the first time you see a bird underwater. 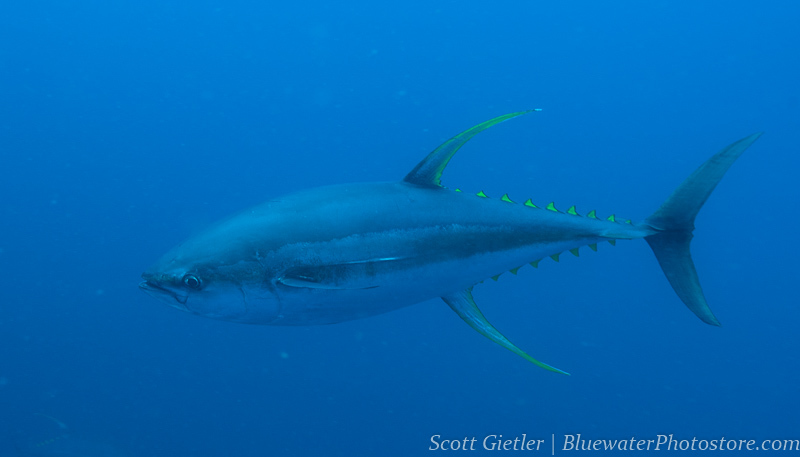 They are fast moving, fish seeking missles that sometimes act like they really don't care that you are around. "Catch me if you can", they say. The red-lipped batfish is a strange looking, deep dwelling fish that just begs to be photographed. The can move swiftly and don't like posing for photos, so getting a good shot can be more difficult than you would think. This is the one dive that I decided to switch to my macro lens. 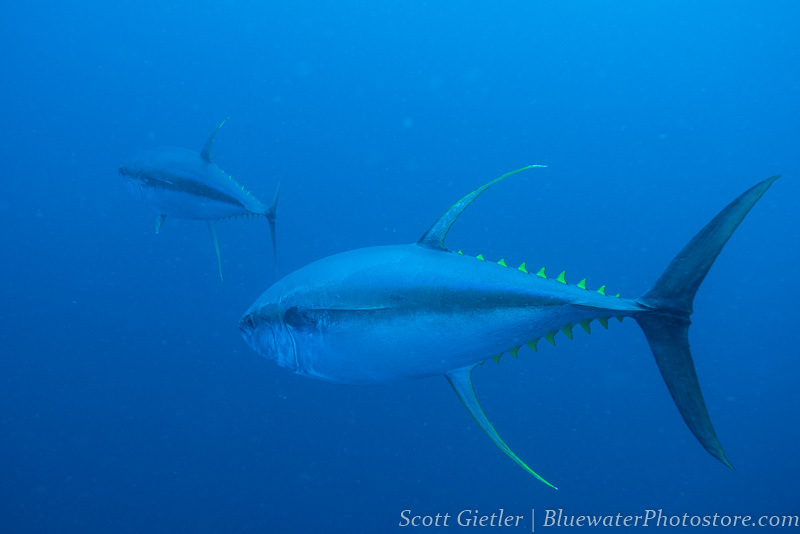 One of my favorite encounters in the Galapagos was with a pair of yellowfin tuna at Wolf Island that continuously made close passes to myself and my dive buddy, following us from a 20ft safety stop, down to 60ft, and thern back up to 20ft, looking at us the entire time. 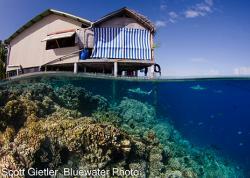 In the Galapagos, I used the Nikon 16-35mm F4 lens almost exclusively for my underwater photography. The lens was the perfect choice, and I will be publishing a full review of the lens soon. The exception is the red-lipped batfish, where I used a Nikon 60mm macro lens behind a Zen 4-inch glass dome port. 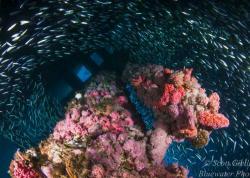 I used a Sea & Sea Nikon D810 underwater housing, with twin Sea & Sea YS-D2 strobes. I was on the Galapagos Master, an excellent boat with nice cabins, a large comfortable lounge, and a safety conscious crew. Other great choices are the Humbolt Explorer, Galapagos Sky, and the Galapagos Aggressor. 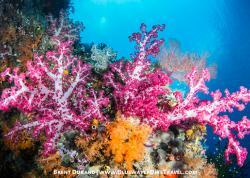 If you are thinking about a trip, email me and I can advise you the best time to go, and I can usually get you a special deal on a group or personal trip on one of the 4 boats I mentioned, through my dive travel wholesale company. 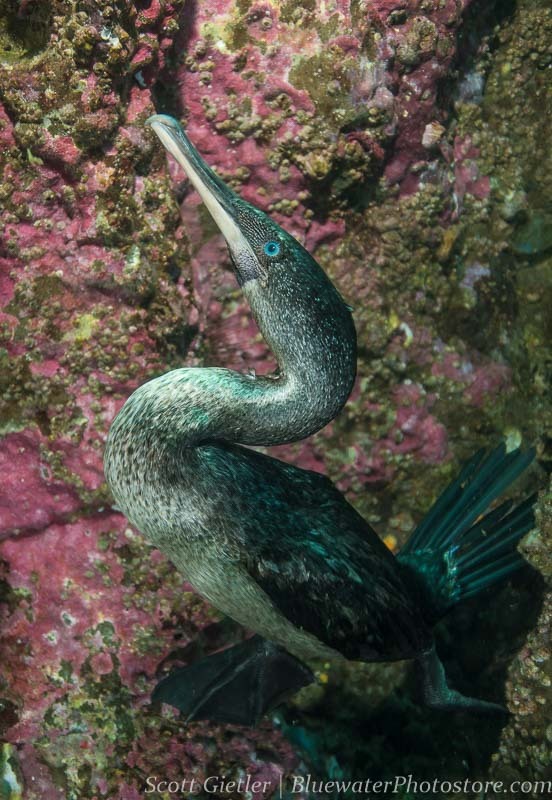 I am also running more trips to the Galapagos in 2016, 2017 and 2018.